First Lady Keniya Moore is affectionately known as Lady Keniya at Praise Tabernacle Bible Church and the devoted wife of the Senior Pastor-Teacher Jody D. Moore. In 1999 the couple wed and together they are the proud parents of 3 daughters. When she is not serving in the ministry or consulting she is serving as the COO of the Moore Family. In 1981 at the age of 7 she was led to Christ by her father, Bishop Kenneth Ulmer, of Faithful Central Bible Church in Inglewood, CA. Lady Keniya has since then grown to love the Lord, love the church, and love ministry. As a young adult she realized her desire and call to teach and began to trust the Lord to deliver her from her phobia of public speaking. A distinguished woman in her own right, Lady Keniya received a Bachelor of Science Degree from UCLA in Electrical Engineering and worked at Xerox Corporation for 9 years before becoming a full-time wife and mother. Her role at Praise Tabernacle has evolved over the years: from leading the monthly women’s fellowship, teaching 7th-8th grade in children’s church, occasionally teaching Bible study, speaking at the Women’s retreat, and serving as director of Vacation Bible School for the past 5 years. Her thirst for the word and her can do spirit continues to bless the women of Praise Tab. 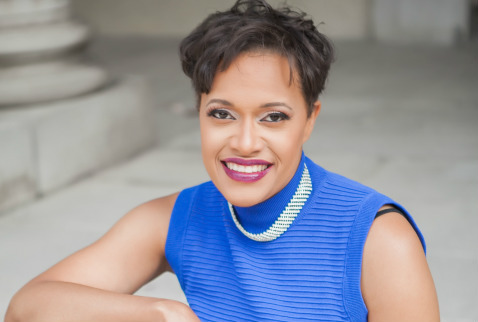 Lady Keniya has recently returned to her engineering roots and is currently the Business Development Engineer for Higgins-Works, LLC – a small engineering consulting firm. Her ultimate desire is to obtain a Master’s Degree in Christian Education and possibly (God willing) a doctorate.